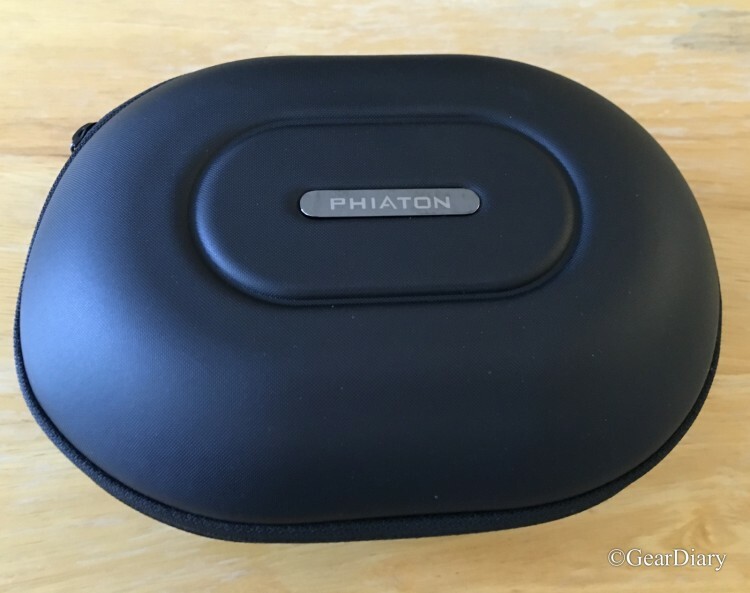 We recently took a look at the latest in-ear headphones from Phiaton. While not a familiar brand to most, the company produces great audio products and deserves a look. 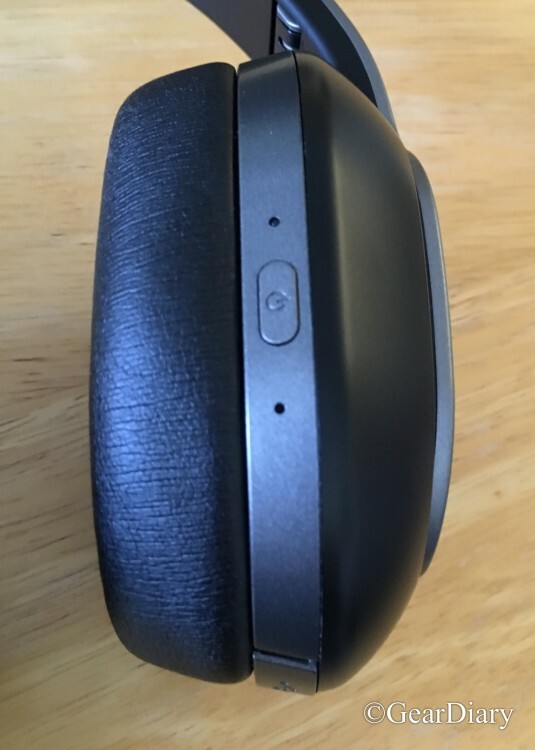 Case in point: the Phiaton BT 460 Bluetooth Wireless Headphones. 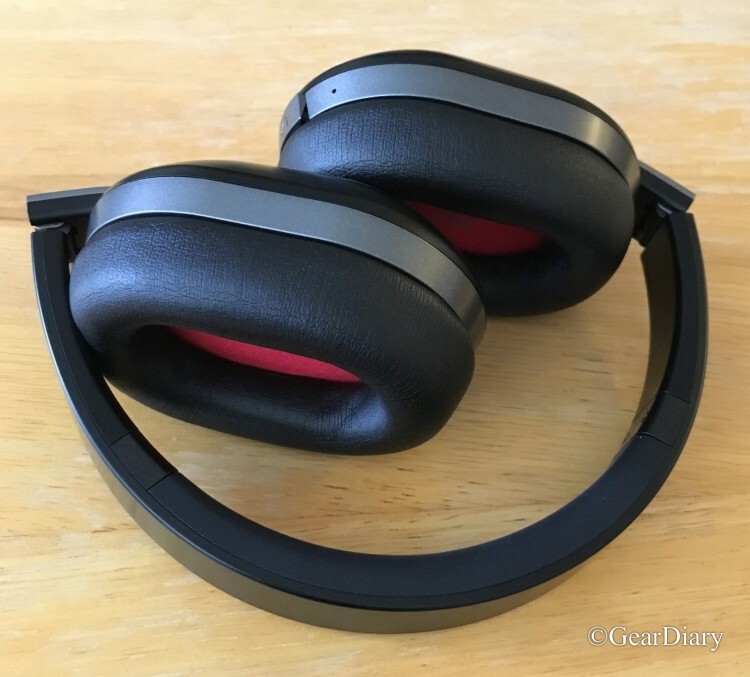 Comfortable and great sounding, they have an MSRP of $249 but can be had at Amazon for under $200. 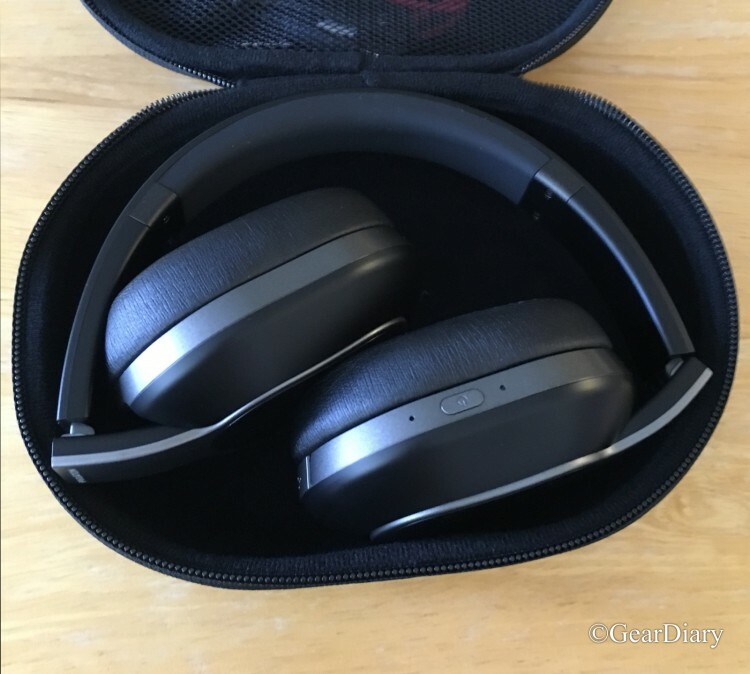 We’ve looked at a number of different Bluetooth headphones. Some have sounded great. Some have sounded less than great. Some have been comfortable. Some have caused pain when worn for an extended period of time. Some have been great about keeping a solid Bluetooth connection. Others have introduced crackles into the stream when the headphones and audio device are not right next to each other. Some are worth the price. Others are far from a good value. Where do the Phiaton BT 460 sit? These headphones sound good, are super comfortable, seem to hold a signal quite well and, at under $200 on Amazon, are a good value. Let’s dig in a bit more deeply. 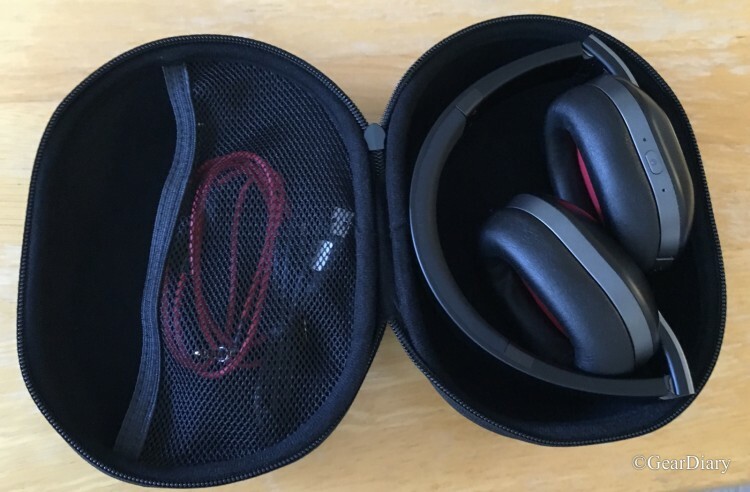 Inside the box, you will find the headphones, a superb protective carrying case, a 3.5mm to 3.5mm cable with an inline control and a USB to microUSB cable for charging. That’s right, there’s a standard charging port rather than the 3.5mm port doubling as a charging location. I love that. It’s a complete package that lets you use the headphones in both wired and wireless modes. The headphones ship in a superb protective case. 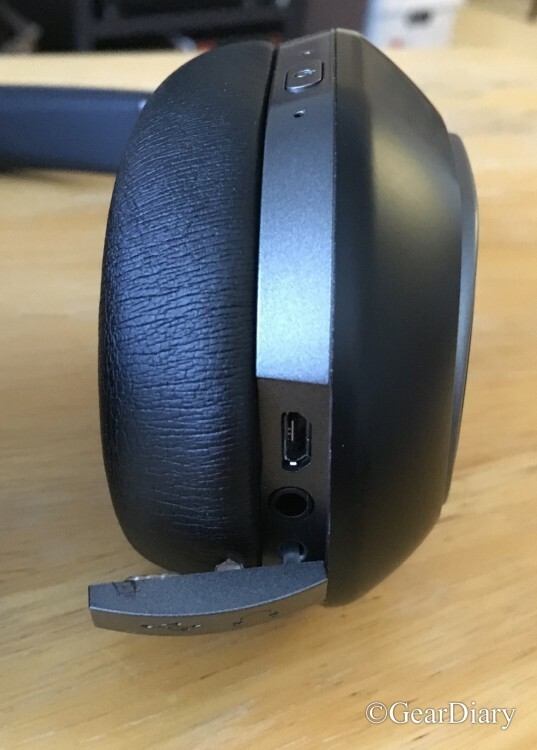 It opens to reveal the headphones on one side and the cable pocket on the other. This keeps things neat but also means the cables for charging and wired mode are always at hand. 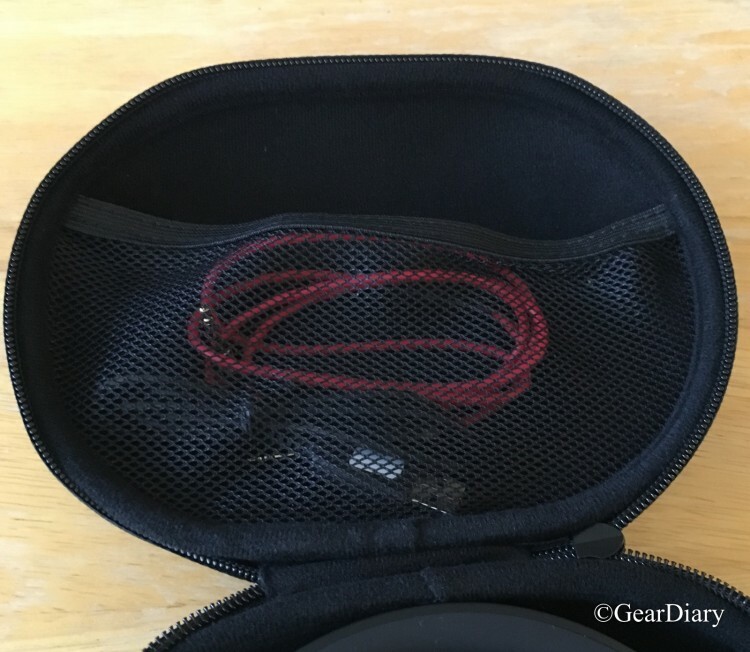 The case is fairly large which might be an issue for people who like to travel light but it is what it is and you can’t expect over-the-ear headphones to fold up into a tiny package. The headphones are large but surprisingly light. The earpads are plush and sit completely around the ear creating a tight seal with a surprising degree of comfort. The headphones fit securely but don’t put a huge amount of clamping pressure on your head. This speaks to the comfort offered by these over-the-ear headphones. Buttons are minimal thanks to the innovative touch controls offered by the headphones. With a simple tap or swipe of the finger, you can control play, pause, fast-forward, rewind, adjust volume, and accept calls. All this sits on the right side of the headphones without the need for complex controls and buttons. I’ve had a mixed experience with touch controls on headphones but this system became second nature after just a few minutes. The headphones also have a “movement recognition led display.” when you use the touch panel an LED display lights up and follows your swipe motion. Its a cool feature but one that is rather superfluous. The headphones offer another innovative feature that I love. When you take the headphones off a sensor knows it and pauses the music. When you put the headphones back on the music starts again. This Smart Play/Pause feature works amazingly well and makes the overall experience far better than it might otherwise be. Innovation makes its way into the Bluetooth functionality as well. The headphones offer what Phiaton refers to as “ShareMe technology.” This allows multiple users to share the same movie or music. The caveat is that everyone needs to also be using the BT 460 headphones. Because of that, this is either a good marketing feature you will never use or a good marketing feature that simply helps sell more BT 460 headphones. Yeah, it’s nice to have the feature but I, for one, won’t be using it. The headphones also offer multipoint connectivity. That means two different Bluetooth devices can be connected to the headphones at the same time. It’s a great feature but one that is now commonplace in Bluetooth enabled audio devices. And when you don’t want to use the headphones in wireless mode you can use the 3.5mm port and supplied cable to create a standard wired connection to them. The 3.5mm port sits behind a dust cover and next to the microUSB charging port. The sound from the headphones will impress. Packed inside the headphones are Phiaton’s newly developed 40mm drivers and oversized Neodymium magnets. These large drivers produce big sound that you will truly create a pleasant listening experience. 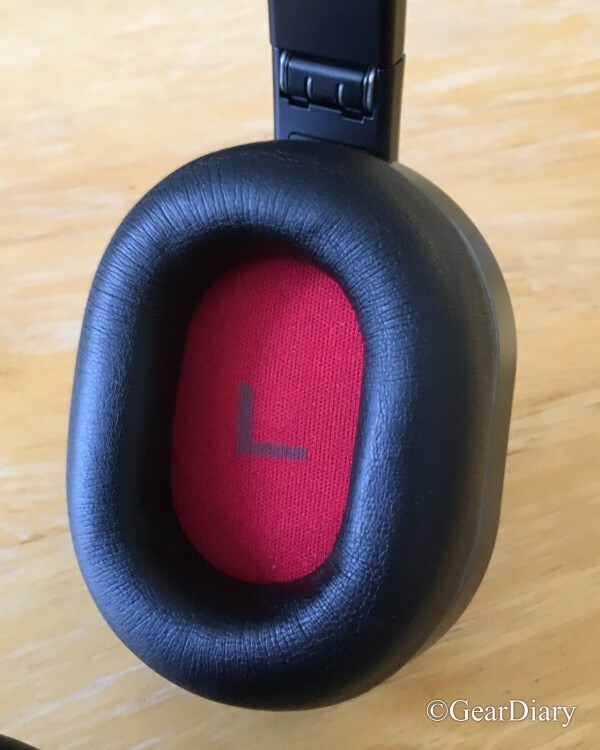 The headphones feature an optimized vibration system. This “adds extra emphasis on high-frequency clarity and improved sound stage”. The result is great-sounding headphones that provide bass that will impress all but the most bass-loving “bass heads”. In short, Phiaton has created headphones here that will impress all but the most refined audiophile. Yeah, you are going to love these headphones! WIRELESS BLUETOOTH 4.0: Experience improved sound quality, greater range and extended battery life with Bluetooth 4.0. Also featuring aptX which increases digital streaming efficiency and improves overall dynamic range. BASS OPTIMIZER: Phiaton’s new technology “Acoustic Pressure Balancer” helps to reduce the reverberation and deliver well balanced accurate sound with powerful bass. TOUCH CONTROLLABLE INTERFACE: Control your listening experience with the tap or swipe of your finger. The latest industry innovation lets you play, pause, fast-forward, rewind, adjust volume, and accept calls using an interactive surface on the right side of your headphones. SMART PLAY / PAUSE: You’ll never miss a beat with this innovative feature. Remove your headphones, and your audio automatically pauses. Slip your headphones back on your ears, and the music continues. No more rewinding or restarting to find your place again. SHAREME CONNECTION: ShareMe technology allows multiple users of the BT 460 to share the same movie or music. MULTIPOINT CONNECTION: The BT 460’s multipoint connection can accommodate two Bluetooth devices at the same time. Connect your smartphone and your music player, or your smartphone and your tablet. WIRELESS MUSIC & CALLS: The BT 460 features an inline remote including a music & call button to allow you to manage your songs (PLAY, PAUSE, REW, FF, VOL+, VOL-) and easily answer and end calls. FOLD AND GO DESIGN: The compact, light, and easy foldable structure, along with the included carrying case, allows for convenient transportation wherever your music takes you. 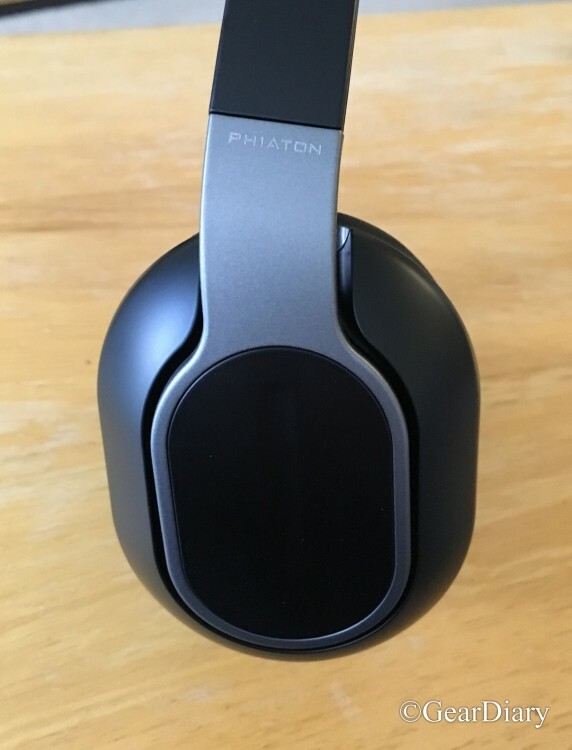 PHIATON DRIVER TECHNOLOGY: Phiaton’s newly developed 40mm drivers feature an optimized vibration system that adds extra emphasis on high-frequency clarity and improved sound stage. Phiaton also added powerful oversized Neodymium magnets providing rich, commanding bass. MOVEMENT RECOGNITION LED DISPLAY: With the up and down touch panel volume control, the LED display lights up to follow your swipe motion. 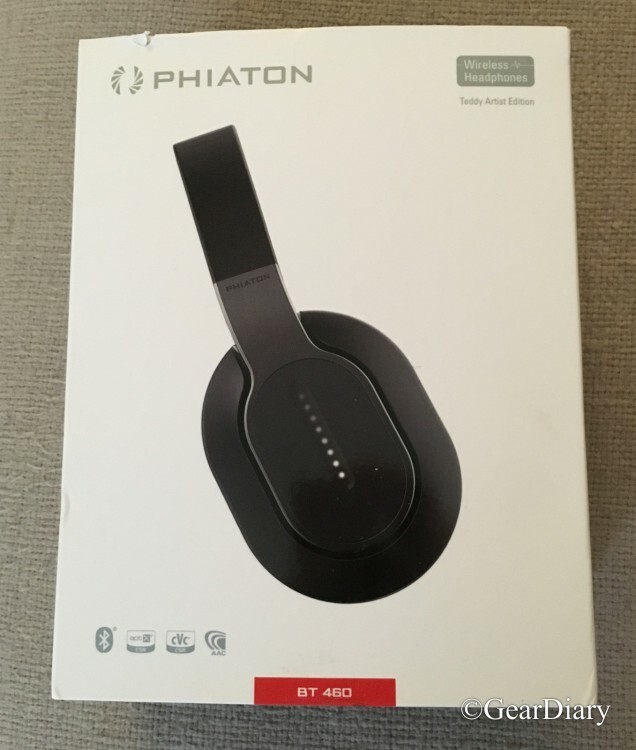 The Phiaton BT 460 headphones are a great addition to the Phiaton lineup. 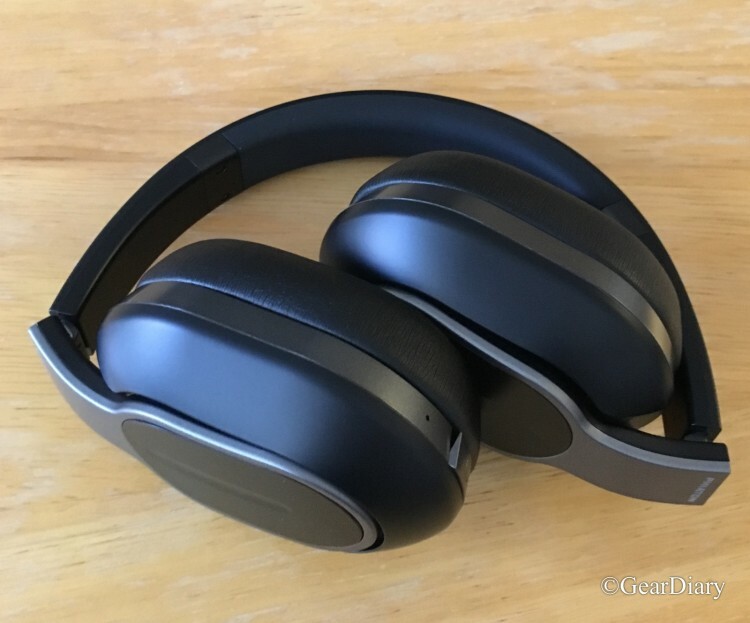 At $199 on Amazon, they are affordable Bluetooth headphones that are worthy of your consideration if you are currently in the market. The sound they put out is impressive. The comfort is superb. And the overall package and features make them a pair of headphones I can easily recommend to family and friends alike. What I Like: Comfortable; Sound very very good; Good carrying case included; Touch controls really work; Use in wired or wireless mode. What Needs Improvement: The headphones fold up but still are a fairly large package.